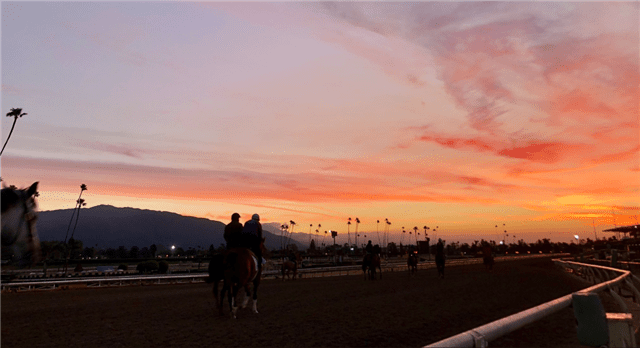 The owner of Santa Anita Park announced a list of unprecedented reform measures Thursday, in the wake of the 22nd equine fatality at the current meet. According to its proposal for Santa Anita and Golden Gate Fields, the Stronach Group's “house rules” would create new restrictions on the use of therapeutic medications and riding crops, implement a race-day ban on Lasix, require the transparency of vet records and increase out-of-competition testing. In this edition of The Friday Show, Scott Jagow and Ray Paulick discuss the potential motivations behind this major development, the reaction from inside and outside the Thoroughbred industry and they raise questions about the specifics and the potential impact of this decision. This entry was posted in NL Article, Ray's Paddock, The Friday Show, Videos and tagged belinda stronach, california horse racing, california racing, drugs in horse racing, Frank Stronach, Friday Show, horse racing medications, horse racing reform, horseracing integrity act, Ray Paulick, santa anita, Santa Anita deaths, Santa Anita fatalities, Scott Jagow, stronach group, The Friday Show, The Stronach Group by Paulick Report Staff. Bookmark the permalink.